Matcha Tea is a powdered form of green tea that has a vivid green color, which comes from its tedious preparation. The word “Matcha” actually means powdered tea and has been a staple tradition in Chinese and Japanese tea ceremonies for many centuries. A high grade Matcha Tea powder has a smooth and mellow flavor without a bitter after taste. How is Matcha Tea Produced? When the bushes are ready for harvesting, the highest quality tea leaves are picked and laid flat to dry. As the leaves dry, they start to slightly crumble forming what is known as, “tencha.” In the Tencha state, the stems and veins can be removed from the tea leaves and the grinding process can begin. The Matcha grounding process requires the proper equipment to produce a high-quality, Matcha Tea powder enriched with nutrients. With a millstone, the crumbly tea leaves are slowly grounded to keep the millstone from getting too warm. An excessive amount of heat can burn them, changing the smell of the leaves and lowering the grade of the Matcha. One cup of matcha tea has the nutritional content equal to 10 cups of ordinary green tea. Matcha powdered green tea has more antioxidants than regularly brewed green tea. You get more antioxidants out of every sip because you are consuming the entire green tea leaf. Furthermore, Matcha Tea is a good source of vitamins and minerals, such as vitamin C, zinc, magnesium, vitamin A, potassium, fiber, selenium and chromium. When Matcha Tea is made properly, it locks in the nutrients so it gets passed on to you. Have you ever needed an extra boost of energy to get through things like work, school or just daily life? A cup of Matcha Tea has various natural properties to boost energy and promote physical endurance. Unlike coffee, the energy boost from a cup of Matcha Tea lasts longer and does not give you a headache. As an added bonus, the presence of L-theanine in Matcha Tea provides a perfect balance to the amount of caffeine it contains. It actually prohibits the side effects of caffeine, such as nervous energy. Matcha tea contains powerful cancer-fighting antioxidants known as “catechins.” One particular catechin found in Matcha is called epigallocatechin gallate (EGCG). EGCG has been tested on cancer cells in clinical trials and the results have made medical experts optimistic about its effects on fighting cancer. The EGCG levels found in Matcha Tea are over 50 percent. Matcha Green Tea contains over 100 times more EGCG than any other tea on the market. This makes it an excellent choice for you if you’re looking for a smooth drink with a healthful purpose. For centuries, Japanese Buddhist monks would drink Matcha Tea to help them recover from long hours of meditation. The tea would help them become more focused, alert yet calm. Studies show that these feelings derived from L-theanine, the powerful amino acid found in Matcha Tea. L-theanine is beneficial in improving various functions related to the brain. For example, it can stimulate your inactive alpha brain waves, creating a state of calm alertness. Your alpha brain waves are responsible for your memory, imagination, visualization, learning and concentration. Are you thinking about losing weight? Adding Matcha Tea to a weight loss program can prove to be beneficial in helping you lose weight. It can stimulate your metabolism and burn fat — two key components necessary to win the battle of the bulge. Another study showed that exercising directly after drinking a cup of Matcha Tea can help you burn up to 25 percent more fat. Drinking Matcha Tea has no harmful side effects, such as elevated heart rate or blood pressure. Matcha Tea’s preparation process has enriched it with elevated levels of chlorophyll. Chlorophyll has the ability to detoxify your body. When it is ingested, Chlorophyll works through your digestive system to remove toxins, heavy metals and other dangerous substances your body does not need. 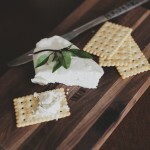 If you suffer from high cholesterol brought on by diabetes or unhealthy eating habits, you can understand the importance of lowering your cholesterol levels. With high cholesterol, fatty deposits accumulate in your blood vessels. These accumulations can cause a stroke. heart attack and heart disease. A regular routine of Matcha Tea can lower your LDL cholesterol levels, which is considered as “bad” cholesterol while raising your HDL or “good” cholesterol levels. The elevated levels of EGCg in Matcha Tea is credited with lowering LDL cholesterol levels. Additionally, Matcha Tea can be consumed as a preventative measure against high cholesterol. Matcha Tea can strengthen your immune system due to its healthy nutrients. The antioxidants, amino acids, catechins, vitamins and minerals in the tea can help boost your immune system. An antioxidant, alone, acts as an antibiotic. People with Type 2 diabetes can benefit in a variety of ways from drinking Matcha Tea. If you are a diabetic that is concerned about your weight, a Matcha Tea regimen can help you maintain a healthy metabolism. The abundance of antioxidants help to decrease triglycerides and hepatic glucose content in diabetics. Besides weight control and protecting your bodily organs from side effects, there is another way Matcha Tea can help you manage diabetes. The catechins can also lower hyperglycemia, or blood sugar levels. Hypertension, also known as high blood pressure, affects nearly 75 million people in the United States. It is a silent disease that often does not produce any distinctive symptoms for years. Nonetheless, its quiet nature doesn’t stop it from doing major damage over an extended period of time. Unmanaged high blood pressure “is dangerous because it makes the heart work harder to pump blood out to the body and contributes to hardening of the arteries, or atherosclerosis, to stroke, kidney disease, and to the development of heart failure, according to WebMD.” The faster you do something to lower high blood pressure, the more likely you are to have a more favorable outcome. Matcha Tea can act as a defense against the disease. Once again, the high levels of EGCG may be able to naturally lower your high blood pressure. If you are currently taking blood pressure pills prescribed by your doctor, you should consult your physician first before taking Matcha. Certain blood pressure medications may not work cohesively with Matcha. Arthritis is a painful condition that causes inflammation in the joints, stiffness, limited range of motion and swelling. Typically, it can worsen as you age. It can affect your everyday life by making it difficult to perform simple tasks, such as tying your shoelaces, opening a jar or getting dressed. There are anti-inflammatory properties in Matcha Tea that comes from its antioxidants. These properties can decrease pain and inflammation in the joints. Compared to black tea, Matcha Tea has higher levels of anti-inflammatory properties. 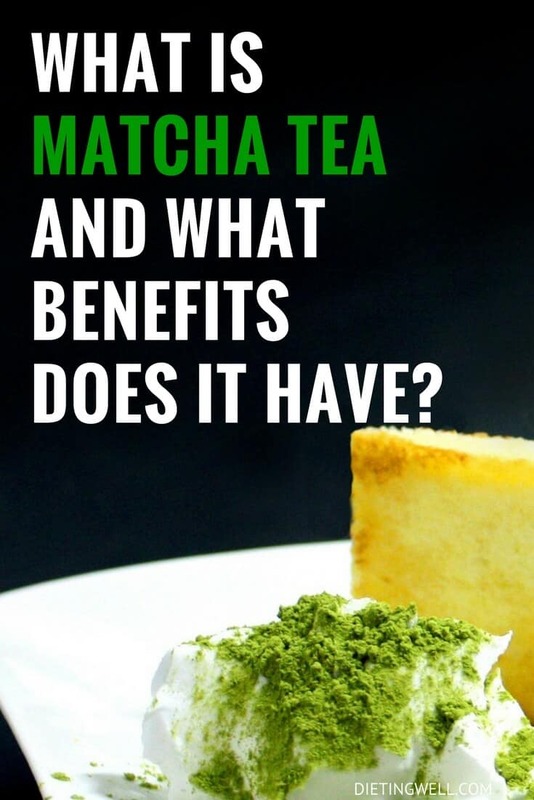 Drinking Matcha Tea has been proven through research to really take care of your body. However, Matcha Tea powder works just as well when applied externally. Many beauty experts have discovered the benefits of using Matcha Tea powder as a facial mask. A Matcha Tea face mask acts as a gentle detox and cleanser for your face. It can remove toxins and protect your face from free radicals and UV rays that can damage your protective skin cells. As an energy booster, it can activate and restore your skin cells. Do you have a problem with acne and/or fine lines and wrinkles? A Matcha Tea mask can reduce sebum production, which is responsible for acne flare-ups. Furthermore, it may be beneficial in reducing those annoying signs of aging. To make a Matcha Tea face mask, you should start by putting a tablespoon of Matcha Tea powder into a container. Add four to five drops (enough to achieve desired consistency) of an essential oil with healing properties, such as lemongrass, lavender, jojoba, sandalwood and rose. Mix the two ingredients together and apply it to your face. You can apply this type of facial treatments once a week. Results won’t happen immediately. However, it is a good start toward better, healthier skin. If you are not a tea drinking enthusiast, you can still enjoy its benefits in other ways. Matcha Tea powder is versatile and can be used as an ingredient in recipes. A special culinary grade is usually used for cooking, baking and making drinks. Matcha Tea lovers around the world have created many different recipes that integrate the powder. In Japan, there have been a few successful beverages created with Matcha, such as lattes, milkshakes, ice drinks and smoothies. Many desserts have been made using the Matcha Tea, including, cookies, cupcakes, puddings, mousse, cheesecake, swiss rolls, ice cream and chocolates. In Japan, Matcha Tea is used to flavor and dye foods, such as soba noodles, mochi (a glutinous rice cake) and wagashi (Japanese confectionery). Matcha Tea powder is immensely potent compared to traditional green tea. The amount of cups you drink a day will vary because each person will have a different response based on their physiology. However, the average amount of cups typically consumed is one to two cups daily. Many people take a cup of tea in the morning to wake them up and another cup during the afternoon to keep them alert. With 35mg of caffeine and vitamins, Matcha Tea is not taken at night because of the energy boost it provides. The recommended amount of tea powder to ingest in an entire day is ½ teaspoon to 2 teaspoons. To make a cup of Matcha Tea, start with heating up some filtered or spring water. Next, pour a few drops of water onto the tea powder and stir until a paste forms. Then, add more water (1 teaspoon to 6 ounces) to the paste and stir. Matcha Tea is a superfood that contains an abundance of healthful nutrients, which may improve your health or help maintain it. It is prepared and processed to ensure you — as the consumer — receive a potent grade of tea. All the nutrients work together to offer you a powerfully healthful beverage that is 10 times more potent than traditionally brewed green tea. If you want to buy quality Matcha Tea powder, then there is an excellent selection with thousands of customer reviews on Amazon. It is also available in most health food stores. Have you tried Matcha Tea? What did you think? Let me know in the comments section below! What in Bone Broth Makes This Soup as Healthy as It Is?